Playing an integral part in our home build, Flooring Xtra came to the rescue again last year when we decided to install new flooring downstairs. A fun process with amazing results, you can read all about it here if you haven't already. 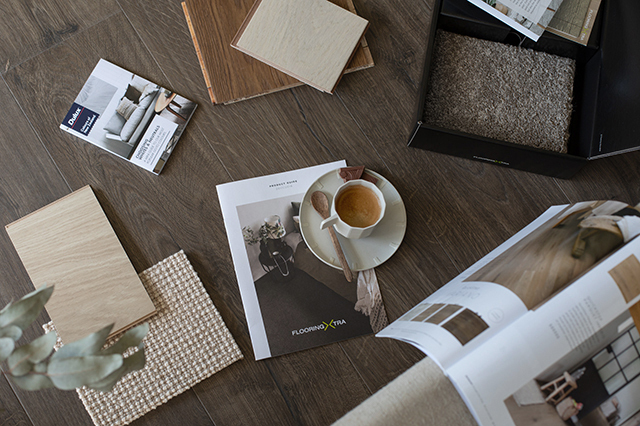 Choosing from an incredible range of flooring products, we found the team's expertise and know-how second to none. 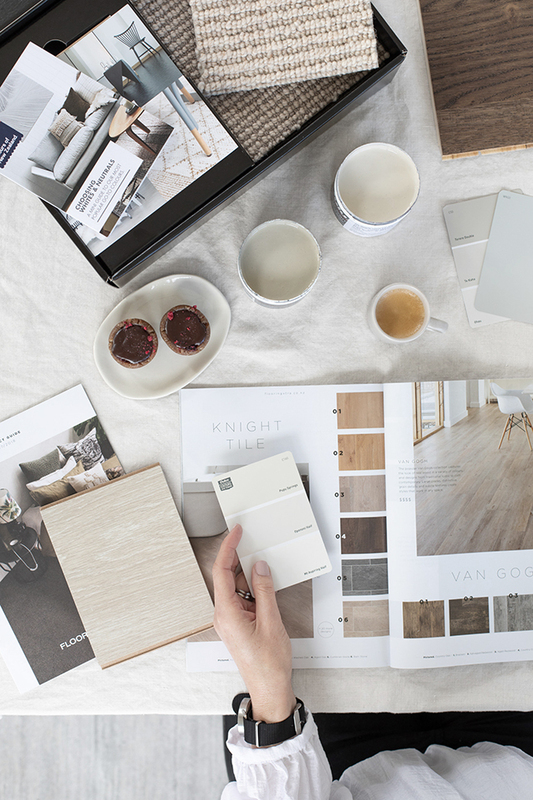 Whether you’re sourcing new flooring for redecorating, renovating or for your new build, finding a floor with the right look, feel and performance for your home can be a daunting task! 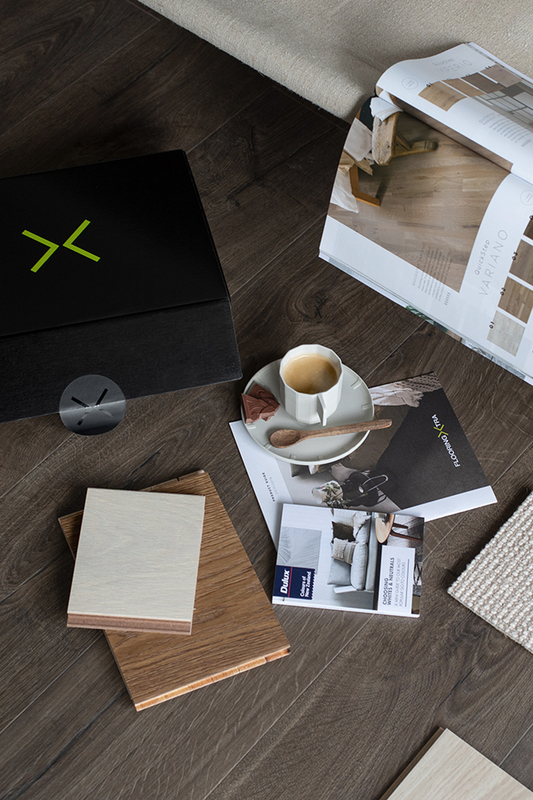 Continually striving to make the process easier, Flooring Xtra have now launched the Sample Box service, to help take the stress out of selecting your new flooring. So what is the Sample Box? 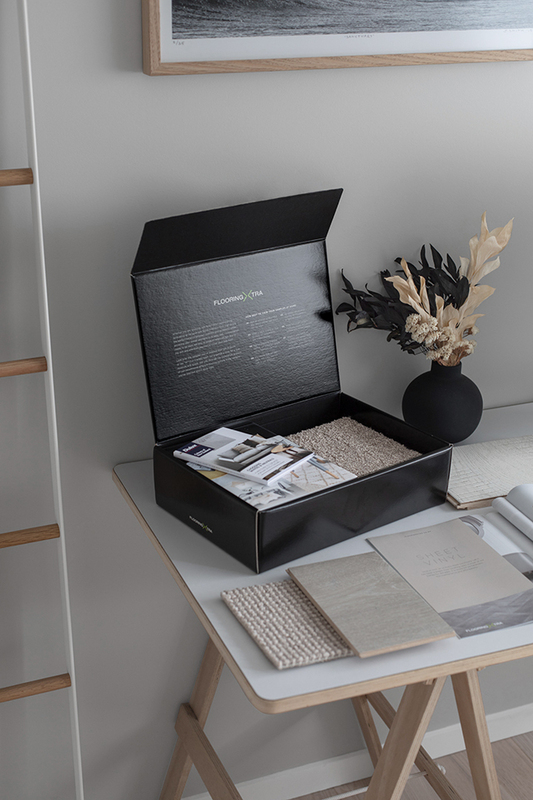 The Sample Box consists of a bespoke selection of flooring samples, up to five of your choosing, beautifully packaged in the Flooring Xtra box. Each Sample Box also contains complimentary underlay samples, product information, viewing and home decorating guides. 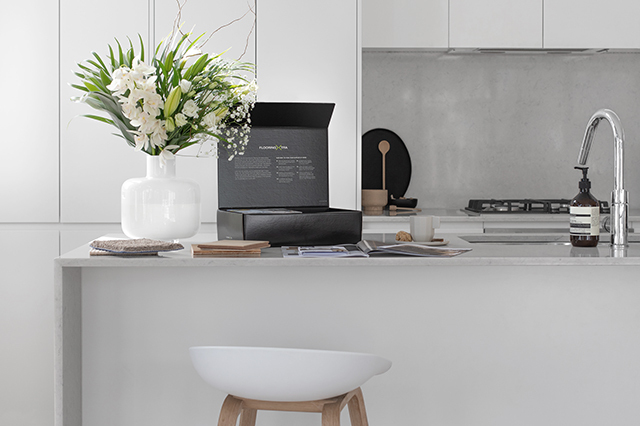 Put simply, the Sample Box is like a starter kit to help you achieve your dream interior scheme! 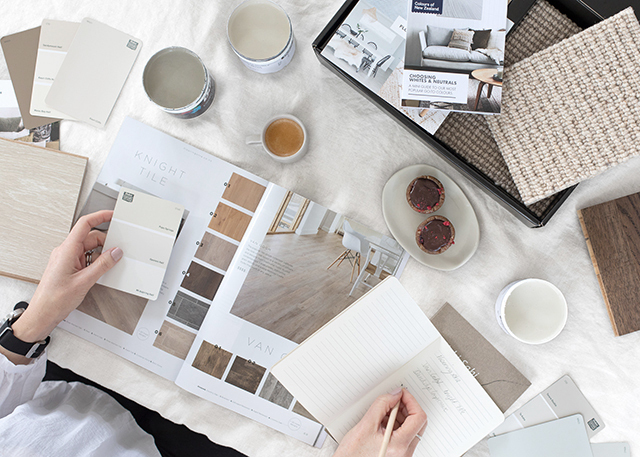 To help present this wonderful new service, I teamed up with photographer Kirsty Dawn to create some imagery for the Flooring Xtra website and Look Book. Styling the Sample Box evoked all those exciting feelings of starting a new project. With the products and information at hand, you can get a true feel for what will work best for your special project, in the comfort of your home! 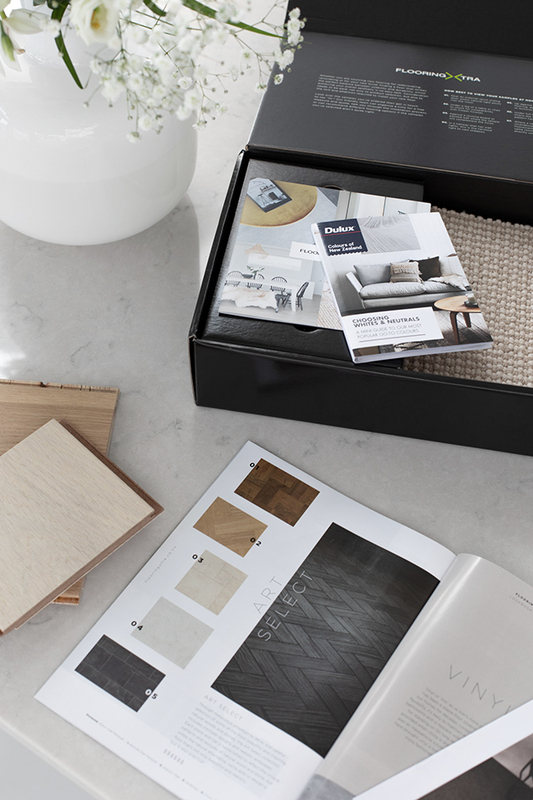 With products currently available for sampling across the Carpet, Laminate and Wood collections, creating your own Sample Box is easy. To find out how, take a look here. 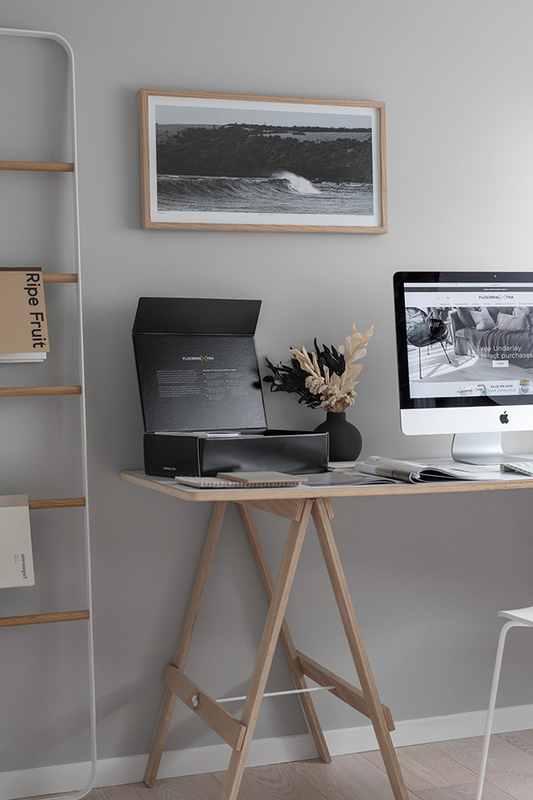 Once you've completed your order, your Sample Box will be assembled, packaged and dispatched direct to your doorstep. Then the fun can begin! *Conditions apply. See website for details. This post was created in collaboration with Flooring Xtra. I only work with products I love and all opinions are my own. For more information please visit my About Page.